Hi, having just replaced the turbo on my 2003 Previa D4D, I have sapped a vacuum hose connector and "probe" that screws into the inlet manifold elbow. There is no part number on this, only a "ND", (Nipon Denso ? ), emblem. 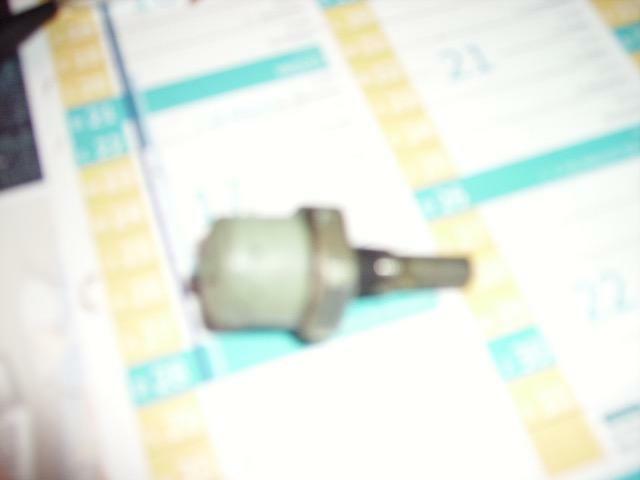 Need to name and identify this to find a replacement. It has a 23mm hex head to screw it into the elbow, (10mm diameter thread), with a "probe" after the thread, (thread+probe 27mm length). The external part has a grey plastic cap with the vacuum hose connector, (15mm height above the hex nut + broken hose tail.) Can anyone name this and give me a part number please! Sorry about the poor photo!